... we unite an institution, build a community, enhance a campus and create a model for interacting with the world that ensures every student will discover their path, develop their talents and strengthen their character within a dynamic and innovative academic community. This five-year strategic plan will reaffirm and bolster our commitment to fulfilling the mission of Trinity Episcopal School. This strategic planning process began in the spring of 2017 with a clear-eyed look at our strengths, weaknesses, opportunities and threats. We asked our students, parents, alumni and faculty to help us envision the Trinity of the future. Their responses informed and guided this process, identifying many of our core values and successes, along with helping to pinpoint some of our greatest opportunities. Overwhelmingly, both internal and external research have confirmed the vigor, value and competitive advantage of our community. Indeed our culture and our community are something to bolster and cherish, but also to share and celebrate. Students thrive when they have a sense of belonging in an environment of mutual respect and understanding. This has always been a strength of Trinity. Our community is richer when everyone is “here now” and invested. Our students are empowered to take risks, try new things, learn from failure and build confidence to tackle the next steps in their lives. Our five themes radiate from our greatest asset, community: recognizing that the health of our community is paramount (School Culture); prioritizing decisions about how we engage with each other, who we bring into the community, and how we build upon our community to create programs (Operational Excellence); spaces where we house our community (Campus Enhancement); reaching within and beyond the community to build partnerships (Community Engagement); and building long-term processes for the community to excel (Strategic Strength). Within each of these themes are several broad objectives that will guide our community over the next five years. With this plan we reaffirm the value of our philosophy: providing challenging academics that inspire students to become engaged learners… practicing honor and service… celebrating the unique potential within each student… treating each other with trust and respect… fostering partnerships among students, parents, faculty, administrators and staff as colleagues in the process of education… integrating life into learning and learning into life. 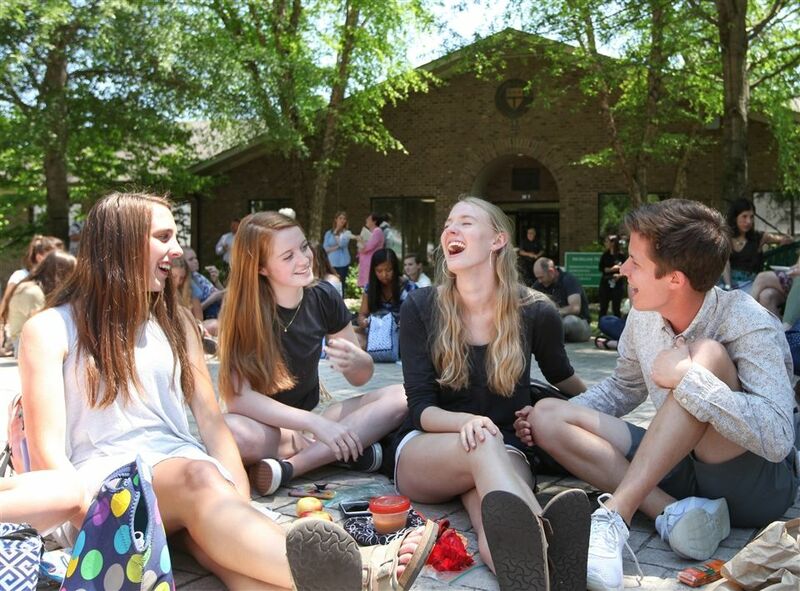 Trinity is Richmond’s first International Baccalaureate World School. We continue to embrace the ideals of the IB program which prepare our students for an unknowable future by providing them with an adaptive set of intellectual, interpersonal and future-ready skills. We also reaffirm our Episcopal identity, our broad and balanced program across arts, academics and co-curriculars and our steadfast focus on high-school-aged students.